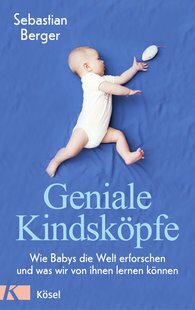 Babies truly are miracles in learning: Sebastian Berger introduces us to the fascinating world of early infant learning, describes the development in the brain areas that enable learning, and gives insights into the respective cognitive research. He shows that babies not only learn much faster than adults, but, similar to scientists, explore the world experimentally, draw their conclusions from statistical information and deduce generally valid regularities from it. From individual observations, the child gains clues to the physical laws of nature and acquires important skills such as trust and the ability to cooperate. Within only a few years, children are able to understand and navigate the physical, psychological and social world perfectly. The book opens our eyes to a new view of the fascinating world of early infant learning, thus allowing us to better understand and appreciate children.